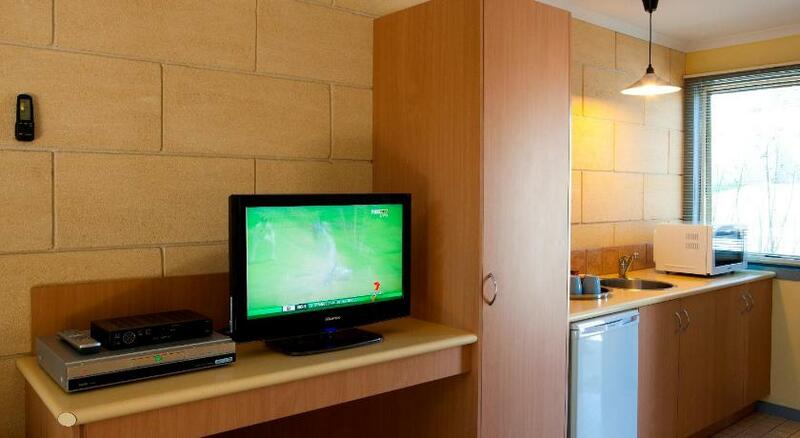 Portside Motel has fully air-conditioned rooms with free Wi-Fi and a flat-screen TV. It is 800 feet from the center of Port Campbell. Each room has a private porch with access to the peaceful gardens. The world famous Twelve Apostles are only a 8-minute drive from Motel Portside. Loch Ard Gorge is a 5-minute drive and 12 Apostles Visitor Information Centre is just 950 feet away. Port Campbell Beach is just over a quarter mile away. All rooms include a DVD player, a microwave, a private bathroom and free off-street parking. Limited laundry services are available. Guests staying at Portside Motel receive a 15% discount on the guided 12 Apostles Coast Half Day Tour. The tour operates from Port Campbell, leaving Portside Motel.